In this globalized world, the interaction and the mutual influences between the East and the West in their legal systems and practices have been immense. There are even convergences of different legal regimes in many fields of law. However, it is also a fact that diverse legal practices and approaches exist. The diversities in legal systems and practices have their social, political, and philosophical backgrounds. They are not necessarily negative elements in the contemporary legal order. Identifying these diversities and addressing the interactions and mutual influences between different regimes should be valuable not only in their mutual enrichment but also in the enhancement of possible and desirable coordination between legal systems. 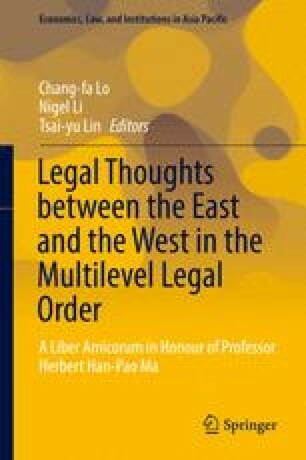 The discussions in this volume cover different levels of legal order, including domestic, regional, and multilateral levels, so that the East/Asia-West interaction can be more clearly and comprehensively analyzed.